🎉ONE LAST BFF PARTY BEFORE YOU’RE MARRIED! – Our exclusive unique design comes with 2 sheets with enough tats for a party of 17 people! The Bride, 2 Maids of Honor, 10 Bridesmaids and 4 friends are about to have the time of their life! 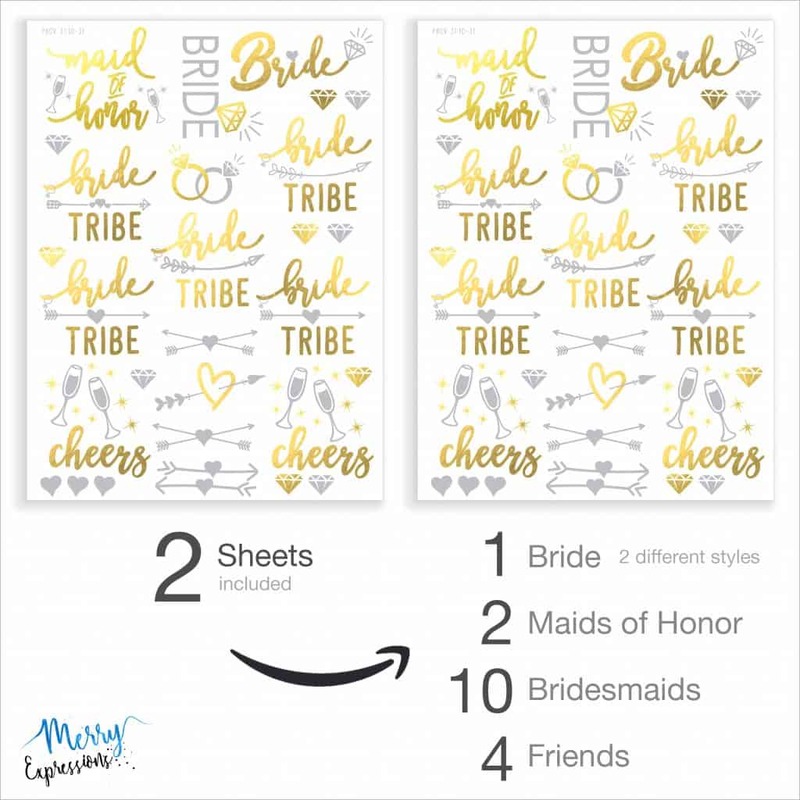 There’s more than enough for everyone but if your bridal shower party is much larger, don’t hesitate to order two sets! 😍 THEY LAST ALL DAY LONG! – Contrary to those poor-quality tattoos that come off after a couple of hours or after the first contact with water, ours are designed to not come off until you’re ready to scrub them off! In fact, they are guaranteed to last you all day (and night) long! 👍 HEARTS, ARROWS & DIAMONDS! – …with clear instructions and video included! Checkout our quick video on how to apply the tattoos on your skin with step by step instructions! Don’t worry, it’s super quick and easy! ✅ A COMPLETE BACHELORETTE PARTY SET! 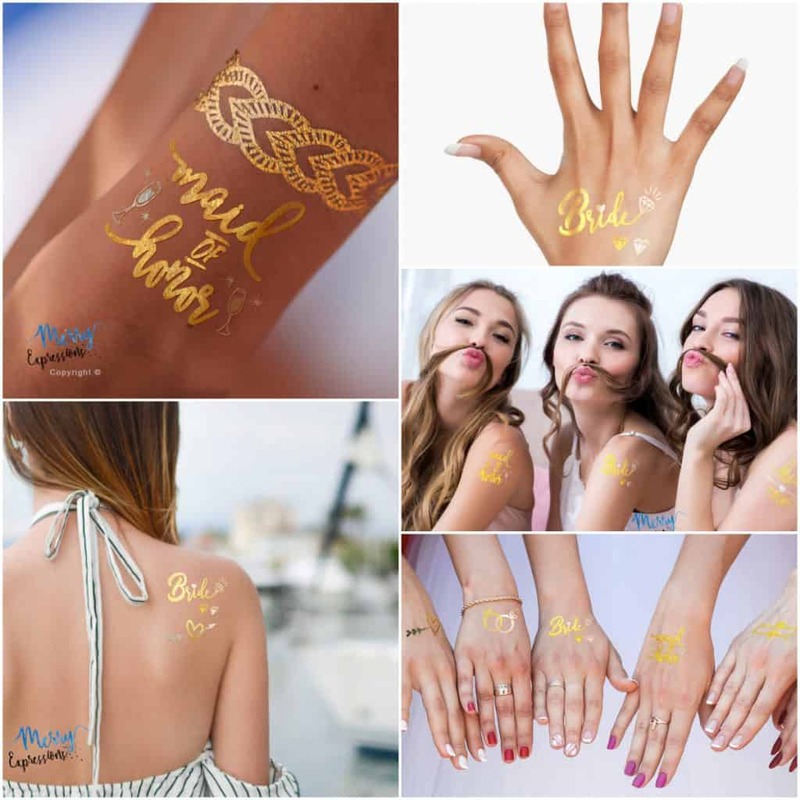 – With every order, you will be getting a variety of flash tattoos including Bride tattoos, Maid of Honor, Bride Tribe, Cheers, hearts, arrows, diamonds, champagne glasses and engagement rings! It’s everything you need to get the party started! 💥 LOVE THEM OR YOUR MONEY BACK! 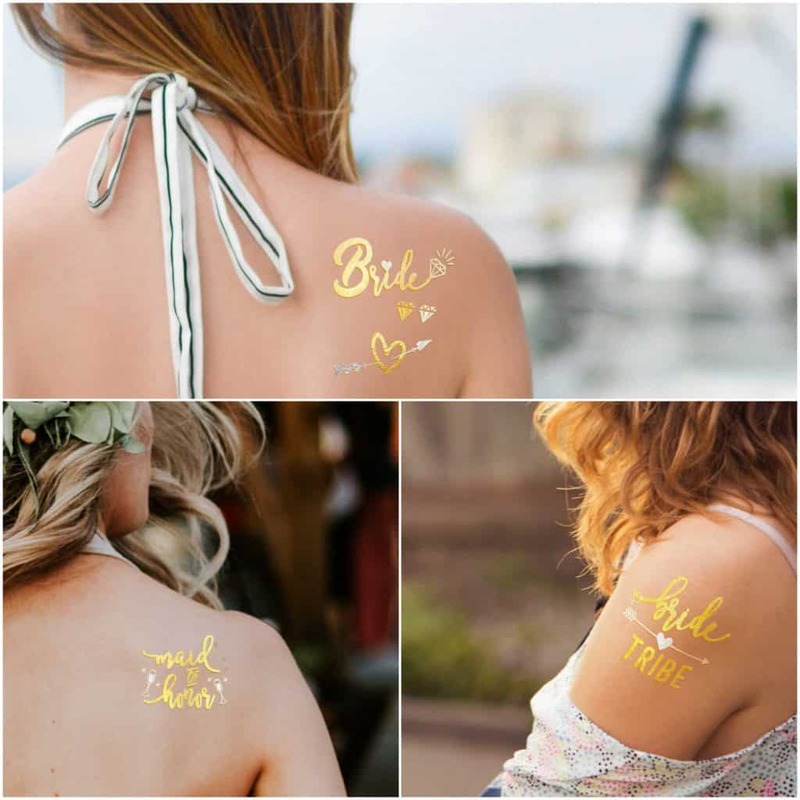 – We invite you to make these flash tattoos yours today and if you are not entirely thrilled with your purchase, we’ll be more than glad to send all your money back…although that’s very unlikely! Our customers love them.